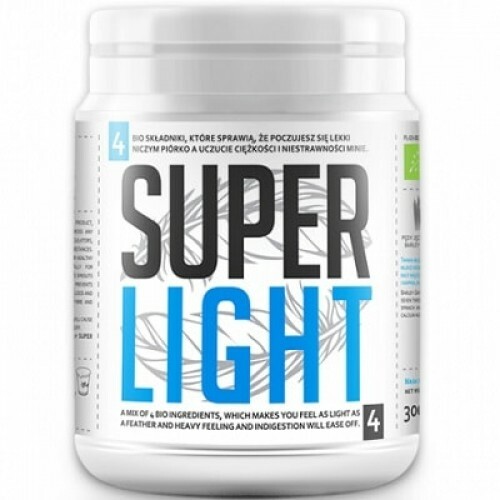 Bio Super Light Mix is 100 % organic. It will cause the heavy feeling and indigestion ease off. Due to the ground barleys sprouts, SUPER LIGHT has a detoxifying effect and prevents constipation. Wheatgrass detoxes eg. the blood and gastrointestinal tract. Cocoa is rich in fibre and lucuma will supply your body with iron. Organic: wheat grass, barley grass, buckwheat husk, lucuma.